The jam-packed February schedule continues with the first 500-point event of the 2019 campaign. 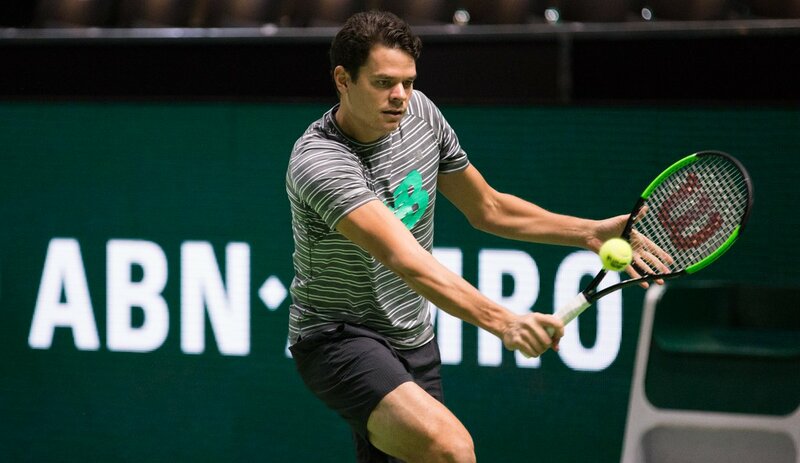 Although the Rotterdam field may not be as strong as it sometimes is, it still features Kei Nishikori, Stefanos Tsitsipas, Milos Raonic, and Stan Wawrinka. Meanwhile, the first U.S.-based ATP event of 2019 takes place in New York and the Golden Swing continues in Buenos Aires. Jo-Wilfried Tsonga and Pierre-Hugues Herbert are making their way to Rotterdam following their all-French final in Montpellier. Adding insult to injury on the heels of his third career ATP title-match loss (0-3), Herbert has to go up against Nishikori in the opening round. The whole top half of this bracket is strong, with the Japanese No. 1 seed potentially having to face Denis Shapovalov in round two, Nikoloz Basilashvili in the QFs, and either Wawrinka or Tomas Berdych in the SFs. Wawrinka is running into good friend and familiar foe Benoit Paire in the first round. With Nishikori taking his talents across the pond and 2018 NYC champion Kevin Anderson not playing, the second installment of this New York tournament is saddled with a watered-down field. Of course, that means the title is totally up for grabs—especially because John Isner has made another traditionally slow start to the season. The 6’10” American has never played well in January for February (outside of Auckland, at least), but this draw should provide him with an opportunity for some success. Isner’s top quarter of the draw includes little more than Aussies Jordan Thompson and Bernard Tomic. Potential SF foes adversaries for the No. 1 seed are John Millman, Adrian Mannarino, Mackenzie McDonald, and Reilly Opelka. A deeper bottom half of the bracket includes Americans Frances Tiafoe, Steve Johnson, Tennys Sandgren, Ryan Harrison, and 2018 runner-up Sam Querrey in addition to Ivo Karlovic and recent Montpellier semifinals Radu Albot. Karlovic and Albot are going head-to-head right off the bat, with the winner likely to meet Querrey. Dominic Thiem got off to another predictably slow start to the season on hard courts. Will red clay solve all of his troubles, like it did last year when lifted the trophy at this event and went on to be by far the second-best clay-court player of 2018? It’s certainly possible starting this week, but the Buenos Aires field is a respectable one by 250-point standards. The top-seeded Austrian could be challenged by Joao Sousa in the QFs and by either Diego Schwartzman or David Ferrer in the SFs. Fabio Fognini may not have as much competition on the other side of the draw, where Guido Pella could be a factor but will have to make a quick turnaround on the heels of a Cordoba final appearance. French Open semifinalist Marco Cecchinato and 2018 Golden Swing standout Nicolas Jarry also have a chance to make some noise and deny Fognini a place in Sunday’s title match.